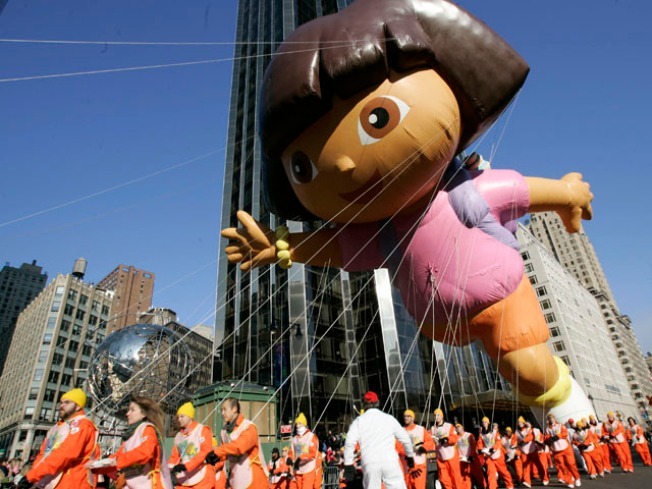 The Dora The Explorer float moves through Columbus Circle during the Macy's Thanksgiving Day Parade. A New Jersey teen has dropped her claim that Nickelodeon underpaid her for serving as the voice of the cartoon heroine "Dora The Explorer." Federal court records show 14-year-old Caitlin Sanchez agreed to dismiss her lawsuit against the network and its corporate parents last month, in which she sought millions in compensation from the show who sacked her after he voice changed from puberty. The network declined to say how many more episodes Caitlin was working on. The complaint, filed in Manhattan’s Supreme Court on October 6, accused Nickelodeon and parent companies Viacom and MTV Networks for taking advantage of Sanchez and rushing her to sign an unfair contract in 22 minutes or lose the deal, The Associate Press reported. Sanchez claimed she worked over 100 national events to promote “Dora” but wasn’t compensated as promised. "Dora The Explorer" is in its 10th year. It broke ground in U.S. children's television by featuring a bilingual, Latina heroine.